Today marks the first anniversary of our brilliant Commercial Property Solicitor Anthony Landes joining the Cognitive Law team. Anthony has been an integral part of the team, and based in Altrincham he heads up Cognitive Law’s presence in the North West. 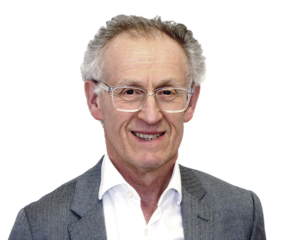 With over 45 years of experience in commercial property, Anthony is an asset to the team and remains the ‘go to’ person for major and minor issues and questions that arise in the property arena. Anthony acts for a range of clients including developers, owners, investors and occupiers of commercial, industrial, residential and agricultural properties on acquisitions and disposals, developments, leases, mortgages, planning issues, and easements. He understands that every commercial property transaction is unique; and therefore delivers a bespoke service, tailored to suit every individual businesses needs. Anthony is a pleasure to work with and a delight to have on the Cognitive team, Happy Anniversary.